When we saw One Direction member Louis Tomlinson wearing a Joy Division "Love Will Tear Us Apart" T-shirt at the 2013 MTV Video Music Awards last Sunday, we couldn't help but give him a little side-eye action. 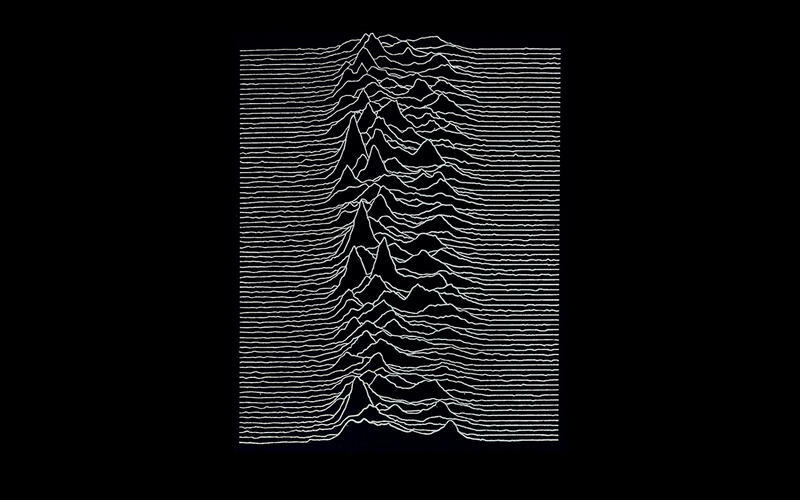 Have Joy Division joined Ramones as the go-to T-shirt to express how edgy and rebellious you are? Here is Louis Tomlinson of One Direction rocking his Joy Division tee at the VMAs. That's him on the very right. 1) "Love Will Tear Us Apart" is an undisputed classic. This haunting ode to human heartache was the crowning moment in Joy Division's brief, yet legendary career. The 1979 song was the last single recorded by the British post-punk band and, for obvious reasons, hailed as a legend. So good. You'll want to hear it again, and again. 2) The band's name has a naughty connotation. The band renamed themselves Joy Division in early 1978, borrowing their new name from the prostitution wing of a Nazi concentration camp mentioned in the 1955 novel House of Dolls. One of their early songs, "No Love Lost," contains a short excerpt from the novel. 3) The album art alone for Unknown Pleasures has a cult following. You've seen the image everywhere: on clothing, tattoos, shoes, animation – even cakes! The cover features a series of jagged white lines against a black background. Designed by Peter Seville in 1979, the lines represent the frequency of the signal from the first observed pulsar or pulsating star. The iconic image also translates into one epic back tattoo. 4) Joy Division's only two studio albums are really, really good. All ten songs are stone-cold landmarks. ...but it'll make you dance. Their second and last album, Closer is a knockout as well. 5) Lead singer Ian Curtis met a tragic fate. On May 18, 1980, Ian Curtis committed suicide just hours before the Manchester, U.K. band was scheduled to depart for their first tour of North America. That day, the music world lost one of its most unique and powerful young voices. The last song Curtis performed on stage was "Digital." Listen to this haunting taping of his last performance with Joy Division on May 2, 1980, at High Hall of Birmingham University. 6) From the ashes of Joy Division rose New Order. After Ian Curtis' death, the remaining members of Joy Division triumphed over tragedy and emerged as New Order. The new band's embrace for electronic, disco, and synthesizers made them into one of the most acclaimed acts of the '80s and on. Even 30 years later, they still sound amazing as ever. Damn, they've still got it. Check out Joy Division's playlist on YouTube for more of their awesome videos.